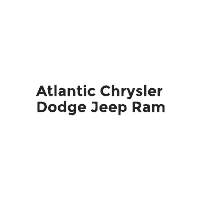 Atlantic Chrysler Dodge Jeep Ram is also here to help you with your vehicle’s service and maintenance needs. Our MOPAR Certified repair center, is ready to help your vehicle live a long life with genuine MOPAR parts and service. Here at Atlantic Chrysler Dodge Jeep Ram, we’re committed to providing you with a positive experience. Our friendly and committed staff want you to find your next vehicle, and do all we can to help you on your journey, and truly get you the vehicle you desire. With our years of experience and know-how, you can trust that you are in good hands as we find you whichever new Chrysler, Dodge, Jeep, or RAM vehicle that appeals to you. The benefit of a dealership like ours here in West Islip is that you have many choices. With vehicles like the Dodge Durango, Jeep Cherokee, Grand Cherokee, and Wrangler, and the RAM 1500, along with other sedans, sports cars, crossovers, and trucks like the Chrysler 300, and Dodge Charger, you won’t feel like there isn’t enough to choose from. That’s always a good thing, we think.